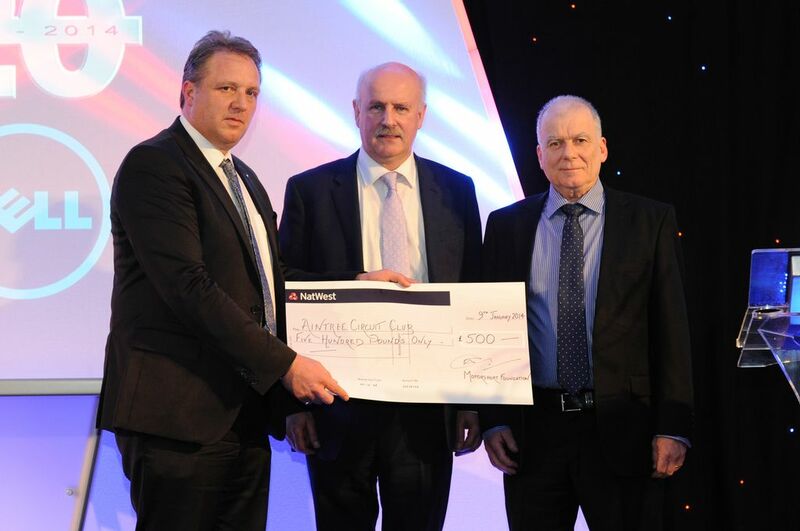 Aintree Circuit Club was presented with the National Motorsport Week 2013 MSA Club prize, of £500, on Thursday 9th January at the MIA Business Excellence Awards Dinner. Club Chairman, Michael Ashcroft said, “The Club is naturally delighted to have won this prestigious prize and reflects the tremendous hard work of the club’s small organising team and its efforts to develop and promote club level motor sport in the region”. The Club organised a superb display of a wide range of vehicles in Ormskirk Town Centre on Market Day (4th July) and also organised a brand new event - a “taster” AutoSOLO in the Town’s Swimming Pool Car Park, which was put on to attract new competitors to the sport as well as providing some free town centre entertainment. National Motorsport Week (NMW) 2013 took place during 29 June – 7 July 2013, and celebratd UK motor sport. Each year a £500 prize is awarded to the MSA Club, that holds an event which best captures the spirit of NMW.